Whether it’s scrubbing through grime to reveal a sparkling surface, cleaning dust bunnies from under appliances or organizing your pantry, there’s something oddly satisfying about a deep clean. According to a recent survey conducted on behalf of Clorox, lots of people get the good vibes flowing when it’s cleaning day. Seventy-one percent say it makes them feel relaxed, while 57 percent say they feel accomplished. Of the most oddly satisfying places to clean in the house, 34 percent say they find their bliss after cleaning the countertops, while a clean microwave lends that special feeling to another 30 percent. To reach that spring cleaning joy, try some of these not-so-obvious cleaning jobs that will transform the look and feel of your space into a springtime sanctuary. Outdoor surfaces: Right outside your back door is a golden opportunity for a deep clean. Rent or borrow a pressure washer, and once it’s set up, you can enjoy watching the blast of water and degreaser effortlessly turn your concrete walkways and driveway into bright clean surfaces — like a magic wand. To easily remove the mold and mildew off your deck and patio furniture, add 3/4 cup of bleach to a gallon of water and swipe away the stains from seasons past. 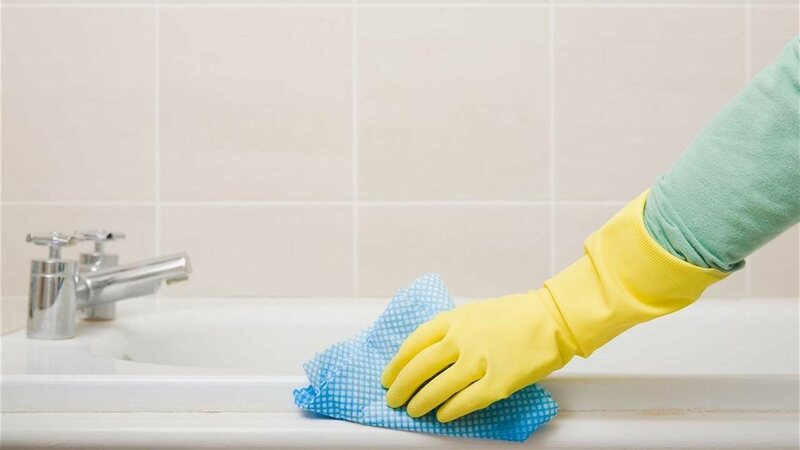 Try these tips and enjoy basking in the satisfaction of a deep-cleaned house. To find the tools you need for the job, visit Clorox.com/satisfyingspringclean/.